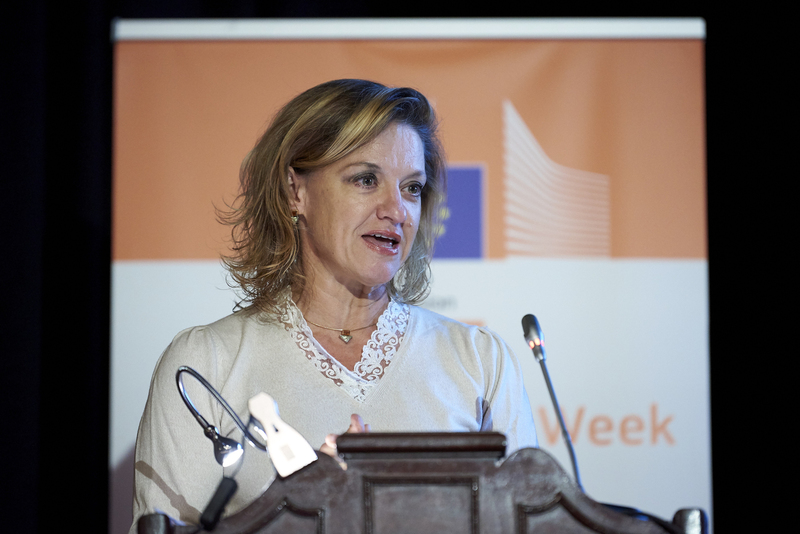 The European Alliance to Save Energy’s President, Monica Frassoni, participated yesterday at the 6th Annual High-Level Conference of the European Innovation Partnership (EIP) on Raw Materials, part of the Raw Materials Week organised by the European Commission. She took part in the session “Raw materials for clean energy intensive industries of the future”, Chaired by Mr Peter Handley, Head of Unit for Resource Efficiency and Raw Materials at DG GROW, and accompanied by Marco Mensink (CEFIC), Thomas Bünger (Aurubis AG), and Giles Dickinson (Wind Europe). The session aimed at addressing the challenges faced by European core energy intensive industries – such as manufacture of chemicals, iron and steel – in the road towards a low-carbon and circular economy by 2050, relevant in view of the EU’s 2050 low emission strategy required by 2020 under the Paris Agreement. During her intervention, Ms Frassoni underlined that the EU needs to take prompt action towards decarbonisation, especially after the IPCC published its latest report last month. She reminded the audience that, in terms of costs and action needed, the difference between 1.5ºC and 2ºC is vague and gives space for action, but also that we are behind schedule. For EU-ASE, she remarked, it is crucial that actions are taken “to avoid the climate catastrophe”, and she underlined two core lines of action: synergies between EE and RES, and phasing out of fossil fuels. Ms Frassoni also addressed the crucial importance of making energy efficiency central to any current and future planning in the intensive industry sector. She underlined that energy efficiency is key in the electrification of the sector as, as she pointed out, “without being efficient and reducing its energy output, the industry will not be able to make it”. “Two thirds of the economic potential of EE remain untapped. The industry is the one that performs best, but energy intensive industries are also important for transport, energy generation and buildings”, she added. but together, recently adopted EED, EPBD and GovReg can deliver results“. She remarked that there are many solutions, the most important a good implementation of the Energy Efficiency Directive and the Governance of the Energy Union Regulation, approved by the European Parliament last 13 November. “The targets we have now are not particularly ambitious, but together, recently adopted EED, EPBD and GovReg can deliver results”, she added, “the actual, practical implementation of the legislative framework will be able to unlock industrial and production processes”.